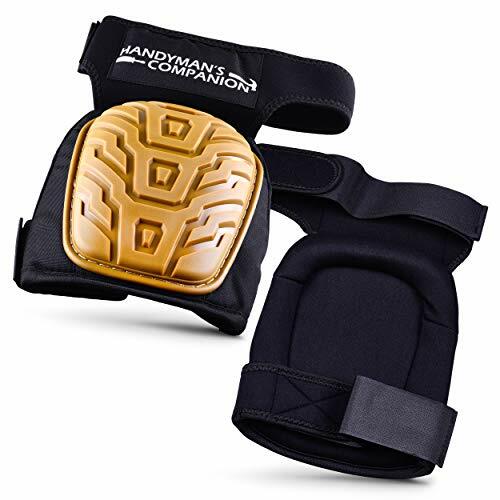 COMFORT-Top and bottom straps are made to keep knee pads from sliding around and bunching up right behind the knee. AND there's no gap between the top of the knee pad and the top strap to minimize getting rocks, wood chips, dirt, etc under the knee pad. EASE of USE- Velco straps for quick and easy On/Off and adjustment. One size fits most. Velcro should be on the outside of your knee when putting on the knee pads. AFFORDABILITY-Made to last and reasonably priced. Straps are made to avoid "bunching up" behind knees and keep junk from getting between knee and pad. Tough outer shell features thermoplastic rubber for skid resistance and extra protection in rough terrain. If you have any questions about this product by Handyman's Companion, contact us by completing and submitting the form below. If you are looking for a specif part number, please include it with your message.